It was 1999, six years after finishing his collegiate basketball career at Division III Whitewater College, and bouncing around jobs that Kevin found himself in the real world with no real job skills and a strong desire to work an hour a day. What to do? Inspired by nights on the couch watching Def Comedy Jam and challenged by his roommate, Kevin decided to head over to nearby Madison, WI and try the “Open-Mic Night”. “I always was the guy who could make people laugh, and lets be honest I had nothing better going on”.Thirteen years later Kevin is still going on-stage, and he has found the job that fit his requirements. “For an hour a night I’m wildly successful”. With a smooth and clever style, a great smile and a contagious laugh Kevin has been entertaining in clubs and colleges across the country. In 2000 he was the winner of the Midwest region of the HBO “Comedy Competition” and flew to Los Angeles to compete as a finalist. 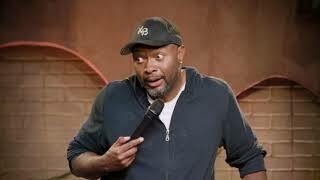 He performed on Comedy Central’s “Premium Blend” in 2003, and finished 2nd in the Boston Comedy Competition in 2005. He was a semi-finalist on NBC’s “Last Comic Standing” in 2010. This past summer he co-starred in the Indie film “Flat Chested” starring Alicia Witt and Luke Perry.